Here is another wonderful blue. 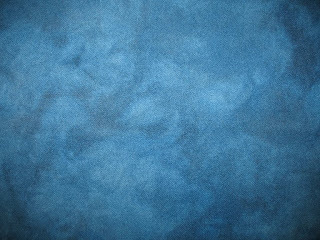 This one is called Williamsburg Blue Dark. It is an Oriental Background color formula from Prisms # 1 (66 Spots and 35 Oriental Backgrounds), a dye book from the Dye Divas Claire deRoos and Nancy MacLennan. Click on the photo to see the great depth of color. It is rich and luxurious. Another exquisite color for use in Kilims. I spent a litle time here this morning, drooling over all your Kilim colours. They are amazing! And the credits to all the formulas make it easy to find them again when time and inspiration exist in the same space. I am so looking forward to being able to get lost for entire mornings in the blog world. But for now, that fellow paying me to work would not be so happy if I did so. Kudos to you for this and a really great blog. Wendie, Thanks for the wonderful comments.